The month of December will see our truly talented squad of boxers fighting on three fronts. 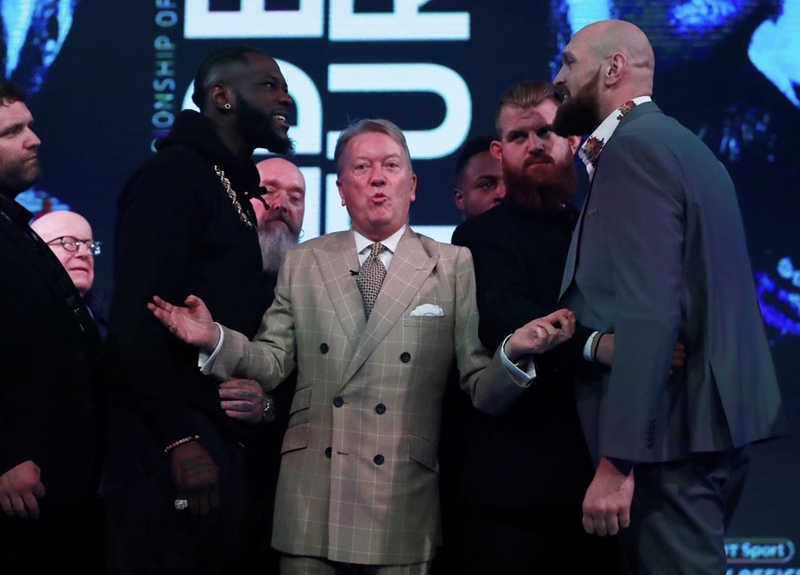 Right at the beginning of the month we have Tyson Fury taking on the tallest of orders with his bid to relieve the 40-0 WBC world heavyweight champion Deontay Wilder of his title at the Staples Center in LA. All the reports and footage that has made its way back from across the pond show what a great place Tyson is in, both physically and mentally. After all he has been through he is already the big winner in this one. Tyson knows his stuff and knows exactly what he is getting into here. The fact that he is so confident of doing the job and clinching the only belt to have eluded him so far gives me the confidence that we made the right move in making the fight for him, much sooner than we originally forecast. The big fella believes in himself and is certain he has got the beating of the heavy hitting, but technically deficient Wilder. It is a BT Box Office blockbuster to kick off December and I am delighted that one of our star pupils is embarking on a field trip to join him on the card. Anthony Yarde is being awarded a second opportunity to showcase his talents to a US audience and I am sure they will again like what they see from the explosive and charismatic individual. The time is right to reinforce awareness of Anthony’s ability Stateside because it won’t be too long before he is operating at world title level and this will be valuable exposure to a different market. 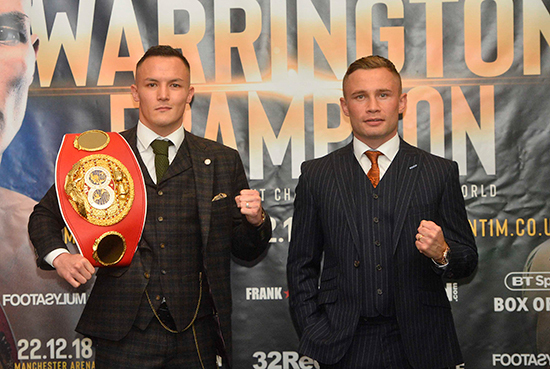 Towards the back end of the month, of course, we are staging what is probably the best fight in boxing at the moment between Josh Warrington and Carl Frampton at the Manchester Arena on December 22. This one has got all the makings of an absolute classic and it is one of those fights that you feel can’t fail to deliver the goods. The atmosphere on the night will be worth the admission money on its own and it should make the hairs on the back of your neck stand up when the many thousands from both Leeds and Belfast get behind their respective man. There haven’t been – and I’m sure won’t be – any silly gimmicks or sideshows to accompany the build-up to this fight because, quite simply, it doesn’t need it. It is a real fight between two top-drawer operators for the biggest prize. Both fighters want to unify world titles in the event of victory, but I wouldn’t be surprised if the demand is for them to do it again. We’ll have to wait and see. 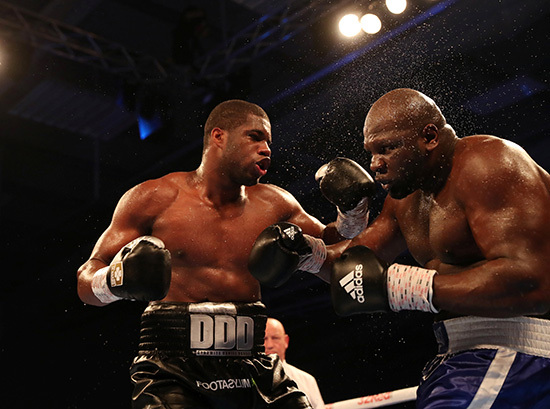 In-between these two BT Box Office events, we go again down south at the Brentwood Centre on December 15 when our heavyweight force of nature, Daniel Dubois, gets back into the ring for his tenth professional fight and another step up in class. We wanted to – and succeeded in – getting rounds into Daniel last time out when the hugely experienced Kevin Johnson took him to the final bell in Leicester. He ticked the big box marked ‘stamina’ against the American by maintaining intense pressure for the whole fight without wilting at all at any point. That is no mean feat for a huge heavyweight and bodes well for the challenges ahead. I firmly believe that in Daniel and fellow young heavy Nathan Gorman, we have the two finest young heavyweights in world boxing. They will prove it as we navigate a route for them both toward the very top of the heavyweight business. Also headlining on the Brentwood bill will be the brilliant super featherweight Sam Bowen making a first defence of his British title. It will be an intriguing one because he is up against Ronnie Clark, the wily campaigner from Dundee. Clark, of course, derailed Zelfa Barrett‘s perfect progression earlier this year and, with a rematch of that one delayed by injury to Zelfa, Clark gets his opportunity to fight for British honours. I have been very impressed with what I have seen of Sam, but he will be tested in this one, no doubt about it and it should make for compelling viewing. Sunny Edwards found himself trending on Twitter after his mesmerising performance on BoxNation against the tough Ryan Farrag last month and his reward is the chance to shine on the big stage. ‘Showtime’ Sunny has definitely got a bit of the showman about him, but he has got the talent to back it up and I am expecting big things from the little fella who will be banging on the door for a British Title before long. So that is our December schedule and a festive fight package we can all look forward to.